Are Honey Bees Our Proverbial Canaries in the Coal Mine? 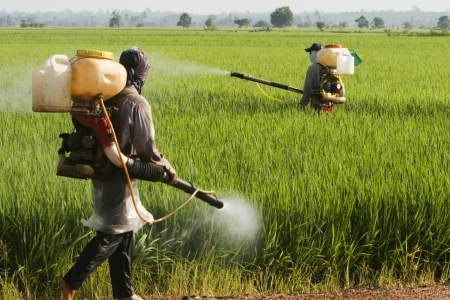 The commonly used insecticides in the world are promoted by their manufacturers as safe, controlled and effective. However, the latest research tells a frightening and very different story which includes the die off of millions of birds, fish, invertebrates and non-targeted insects in a wide range of natural habitats. Now, world agriculture has three mega-mergers in play: Merge-Santo - New Threat to Food Sovereignty. If we act, we can stop the Big Six from becoming the Titanic Three. Policymakers could still block the agribiz mergers; peasants and farmers will continue the fight for seeds and rights. Much of the produce that is sold today in supermarkets is supplied from farmers who practice conventional farming methods. In other words, the produce has been grown using chemical fertilizers as well as pesticides and herbicides. Many scientific studies suggest that the effects of synthetic pesticides can be detrimental to our health;one study suggests that the consumption of pesticides may lead to ADHD in children;in some other cases, exposure can lead to many forms of cancers.